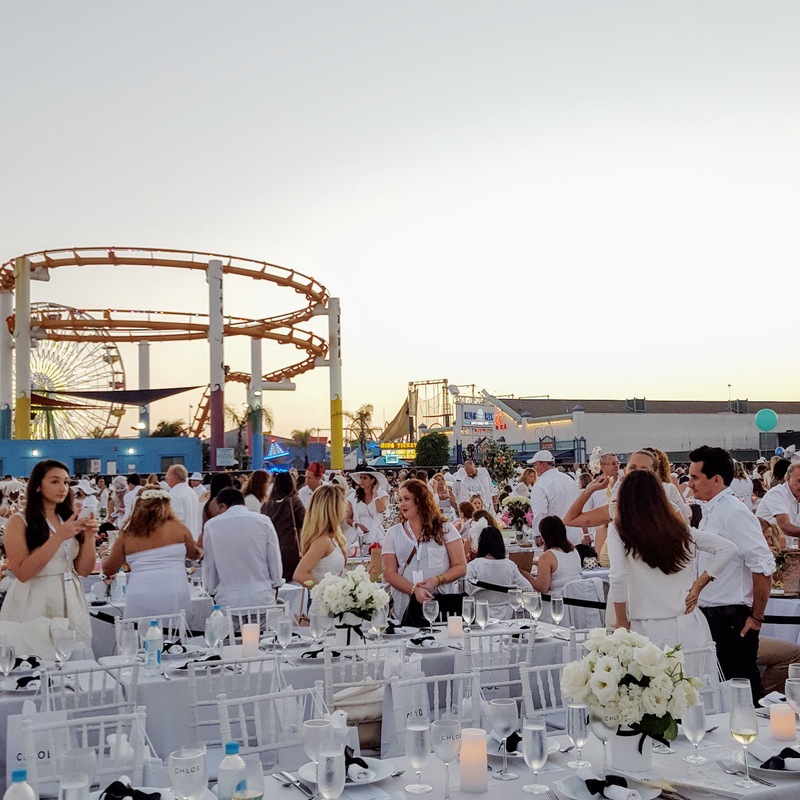 This week's food diary features a pop-up dinner in white on the Santa Monica Pier, vegan bites at the Variety Emmys party, and a healthy obsession with chia seed pudding. I started my food diary series a few months ago as a way to not only track and monitor what I'm eating but to leave a record for the baby so he can look back and see what he was eating while in the womb! I used to think being pregnant meant a free-for-all daily buffet and that somehow my appetite was going to voraciously turn into the black hole. Not the case. I'm definitely eating more and paying more attention to nutrients like calcium and protein but for the most part, dramatic increases in food intake is extremely uncomfortable and unrealistic. During the first trimester, I had zero morning sickness but also zero appetite and developed a serious aversion to sweets. 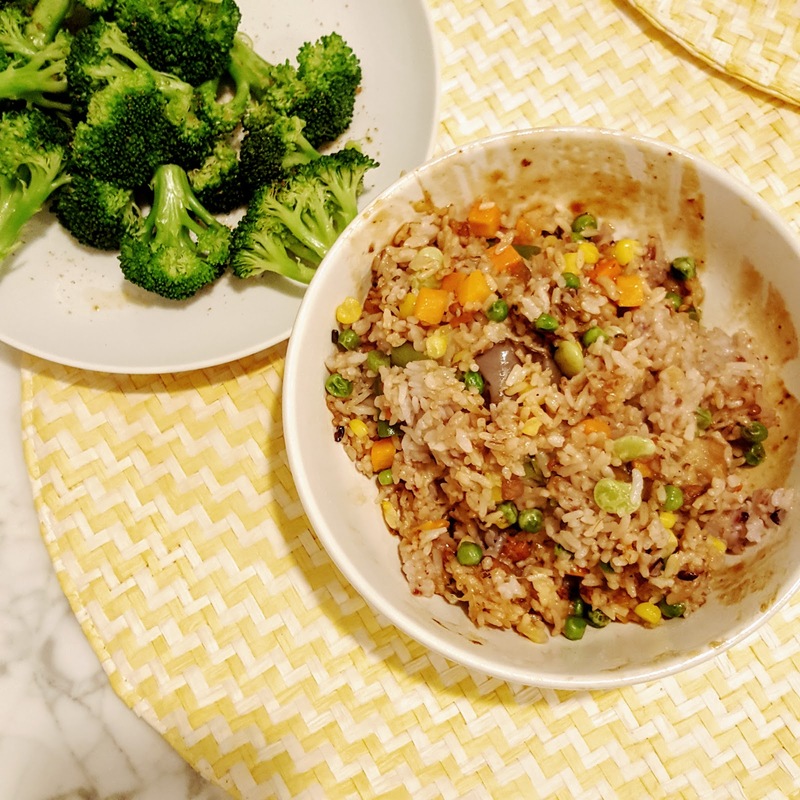 Lucky, the aversion went away during the second trimester and my appetite picked up as I consumed more calories, carbs, and protein per meal than I ever did-nothing outrageous but definitely more than the 1,200 calories I was used to. But that golden period only lasted a few weeks as once the baby started growing, I started feeling ridiculously full and uncomfortable after every dinner, the way I'd feel after eating a buffet. So now, I've curbed the volume of each meal and am focused on consuming more calories and nutrients per bite. 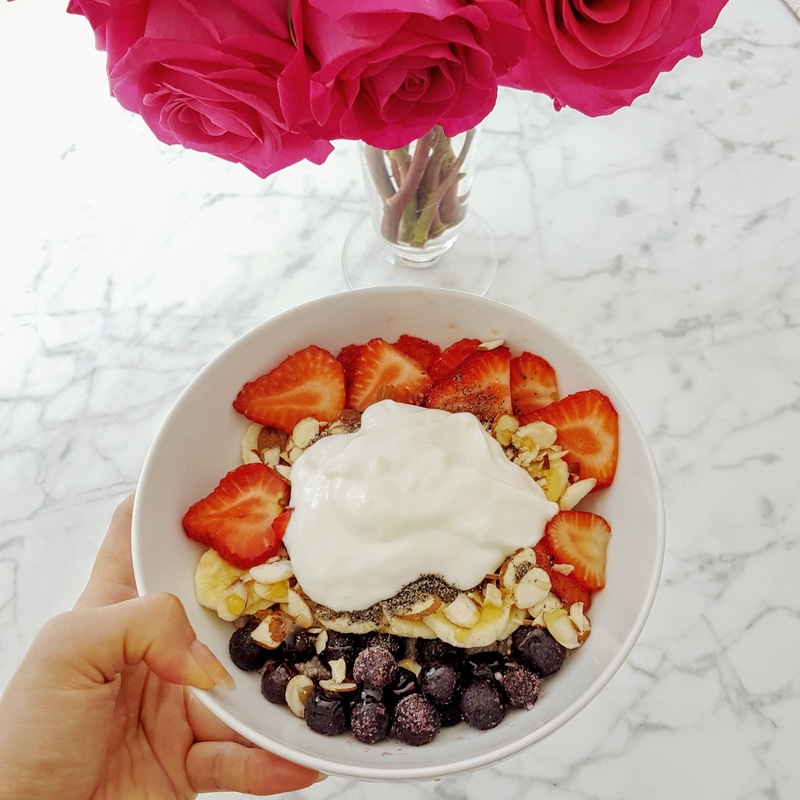 12pm: Chia seed pudding with sesame seeds, sliced almonds, sliced banana, strawberries, blueberries, a scoop of Greek yogurt, and drizzled with honey. This is my favorite new breakfast. 5pm: Snacking on an organic apple hand picked during a weekend trip to a local apple farm. 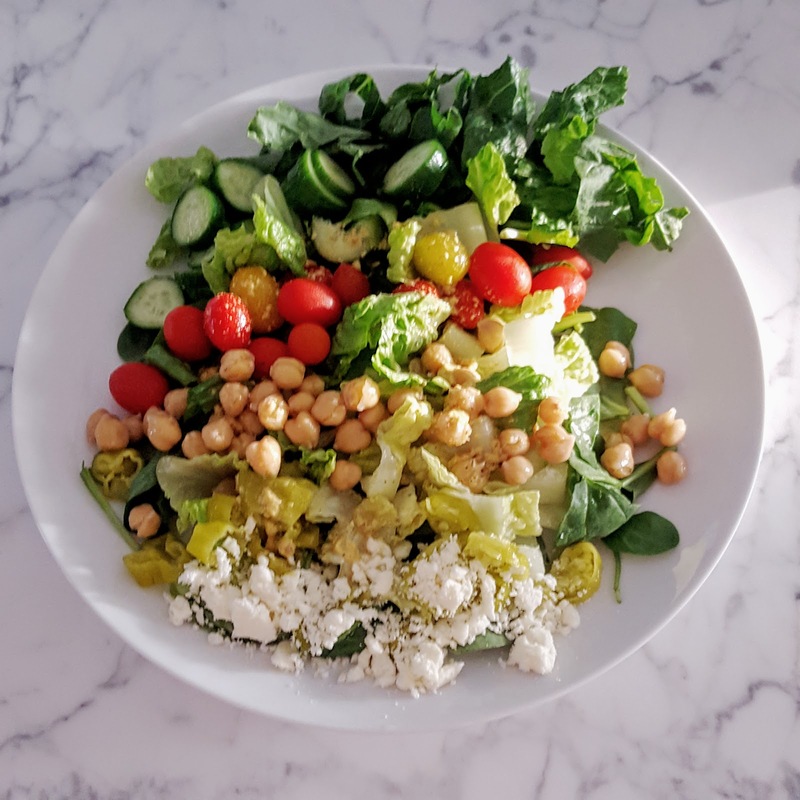 7pm: Greek salad with spinach, chopped romaine, heirloom tomatoes, Persian cucumber, garbanzo beans, peppercini, and feta with a lemon and dijon mustard dressing. I've been obsessed with this salad for the past week and have made it three times already. 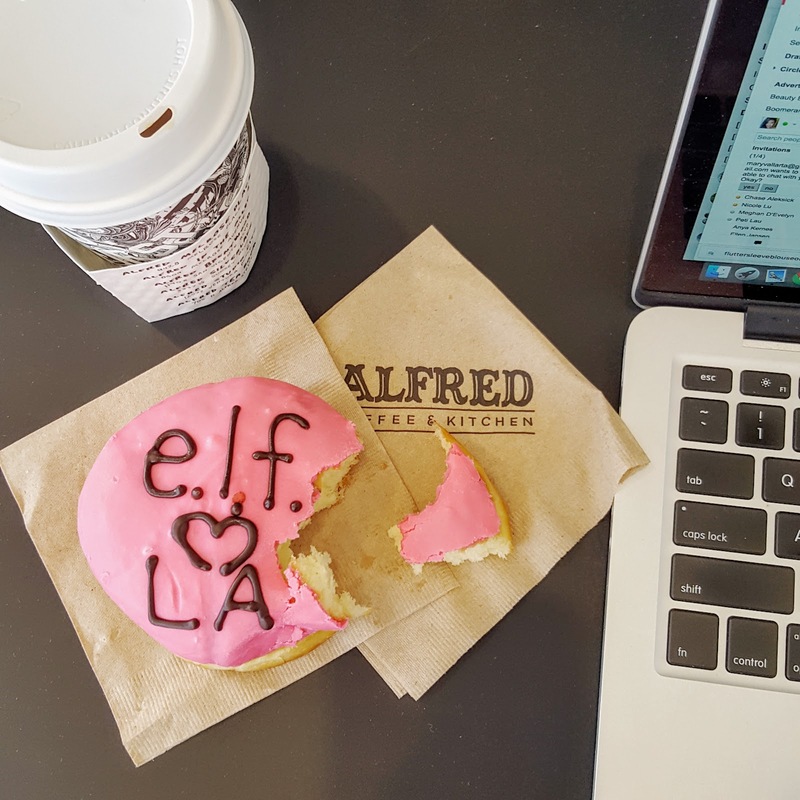 11am: Donut and an Americano from Alfred Coffee in Studio City. Being pregnant doesn't mean a carte blanche cease and desist from coffee and having one small cup a day is fine, especially during the later months. I usually get a small coffee and drink only half of it. 8pm: I make mapo tofu and broccoli for M while I stir fry frozen veggies and leftover Szechuan eggplant into a yummy rice bowl for myself. 10am: A small bowl of chia seed pudding. 1pm: Lunch at La Scala Beverly Hills where I get and finish half of the tuna chopped salad. 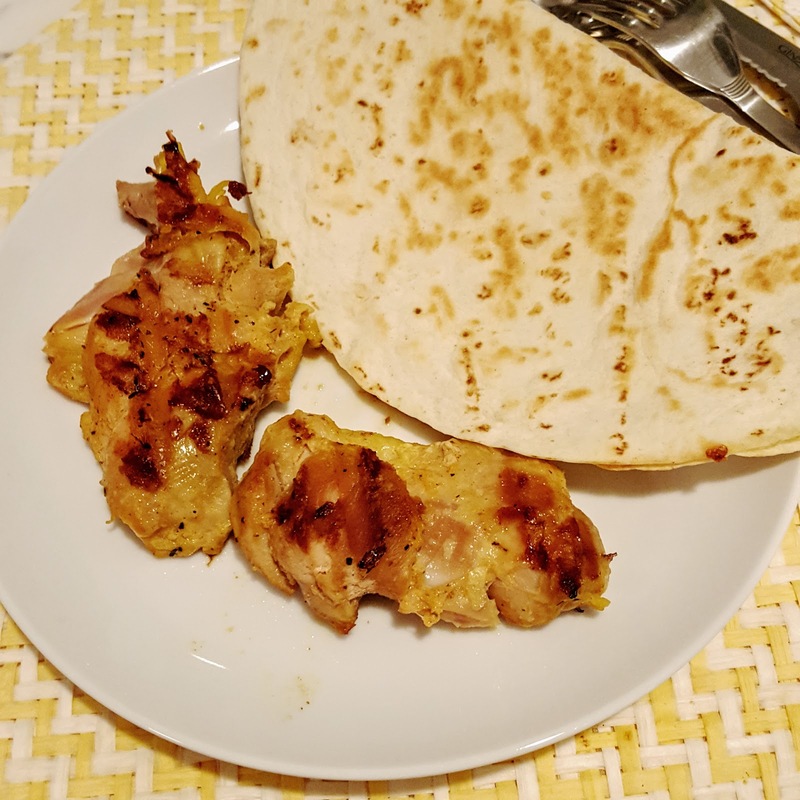 7pm: Dinner at home where I grill up some marinated chicken with my new George Foreman Grill. Okay, maybe it's not the most epicurean way to cook meat but it is so convenient and everything tastes so juicy. I love grilling leg meat on it as the grill retains the tenderness while cutting the fat. I also make three cheese quesadilla with queso fresco, cotija, and oaxacana cheese. 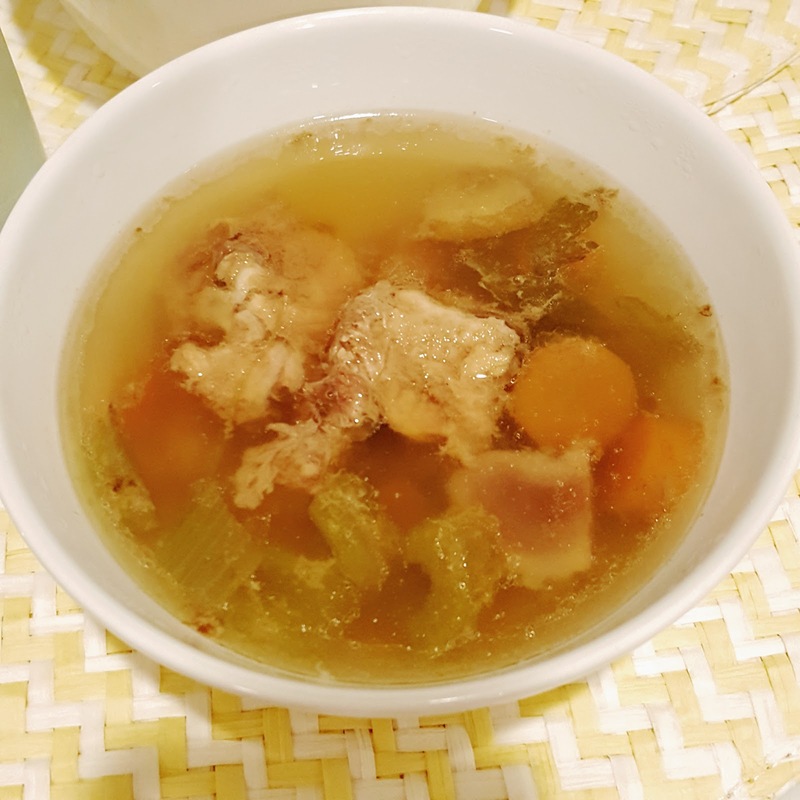 In an effort to intake more calcium, I make a big pot of bone broth in my slow cooker and drink a big bowl of it. 9pm: A small piece of lotus mooncake and a bowl of watermelon. 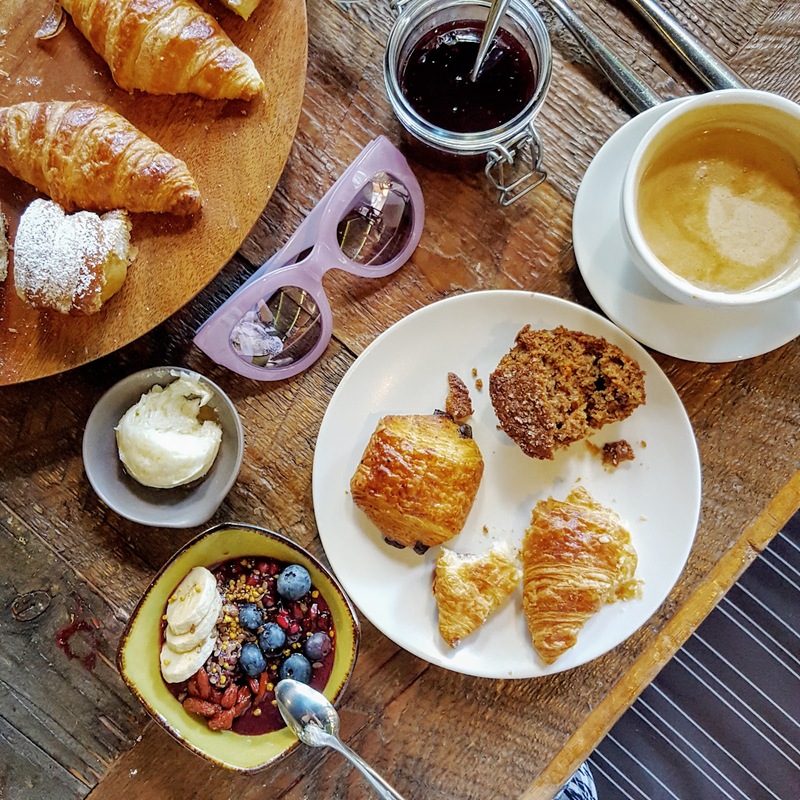 10am: At a breakfast event inside Vinoteca at the Four Seasons Hotel in Beverly Hills, I sip a cup of latte and try the carrot bran muffin and chocolate croissant while catching up with friends. The pastries are authentically French in flavor and I love that the outdoor cafe is outfitted with outlets and free wifi. 4pm: While getting my hair styled with Mika Fowler at the Kim Vo Salon inside the Montage Hotel in Beverly Hills, I snack on crackers and cheese while chatting breast pumps and micro-blading with friends. 7pm: I finish my La Scala salad and drink a bowl of bone broth before heading to dinner with M at Daikokuya in West Hollywood where I have spoonfuls of the chicken and egg over rice. 10pm: A handful of strawberries and another piece of lotus mooncake. 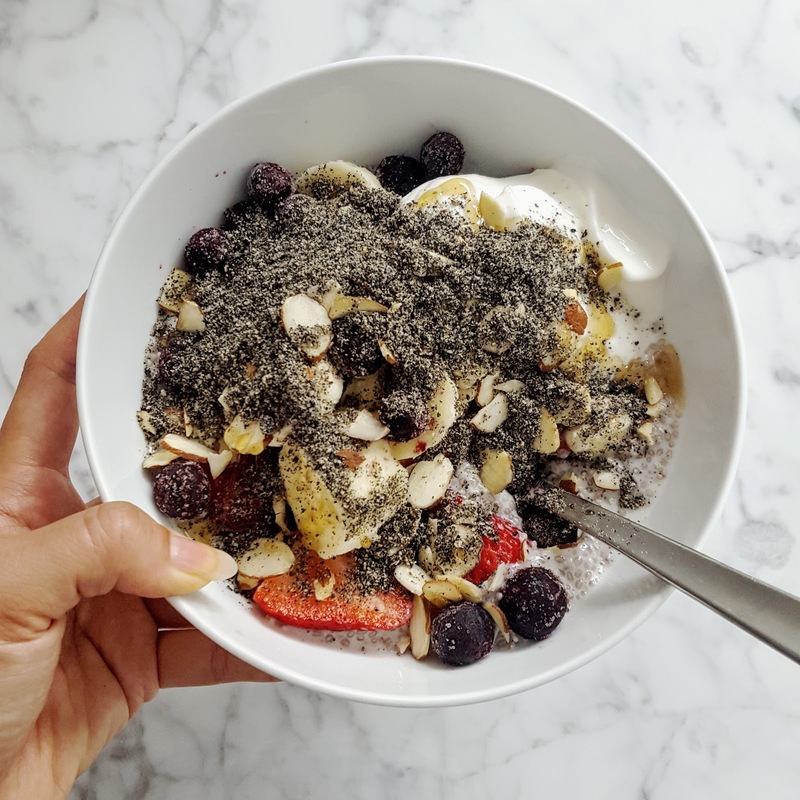 11am: Chia seed pudding with bananas, strawberries, sliced almonds, sesame seeds, and greek yogurt. 6pm: Greek salad with garbanzo beans. 8pm: Nibbling on vegan nibbles like fig stuffed with cashew cheese at the Variety x Women in Film Emmy party at Gracias Madre in West Hollywood while gawking at Sarah Hyland's extreme petite frame. Thanks Rue La La for the invite! 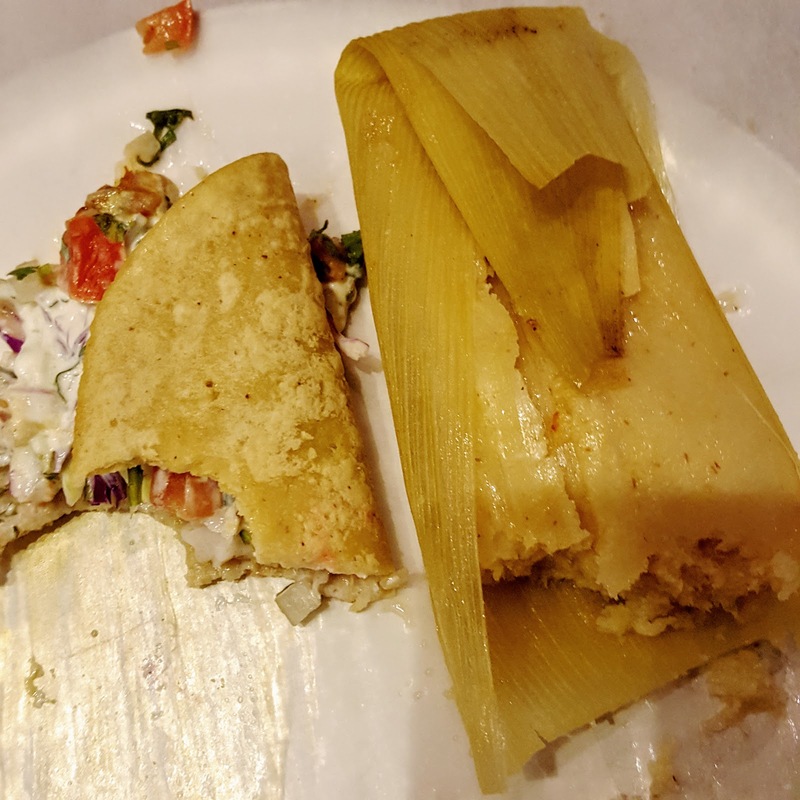 10pm: A late night snack of yummy fish tacos and corn tamales at Guisados in West Hollywood and regretting that it's the first time I've ever been there. 11am: Chia seed pudding with a side of blueberry muffin. 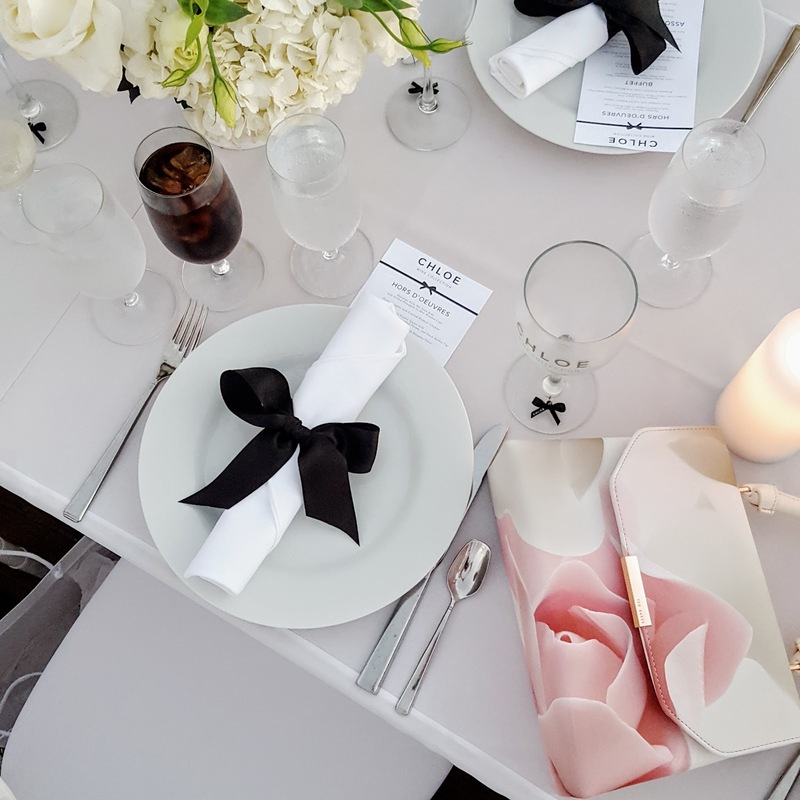 7pm: A Pop Up "Dinner in White" at the Santa Monica Pier with Chloe Wines, a great DIY dinner concept where guests bring their own tablescape, food, and alcohol to a secret location that's revealed just a few hours before the event. 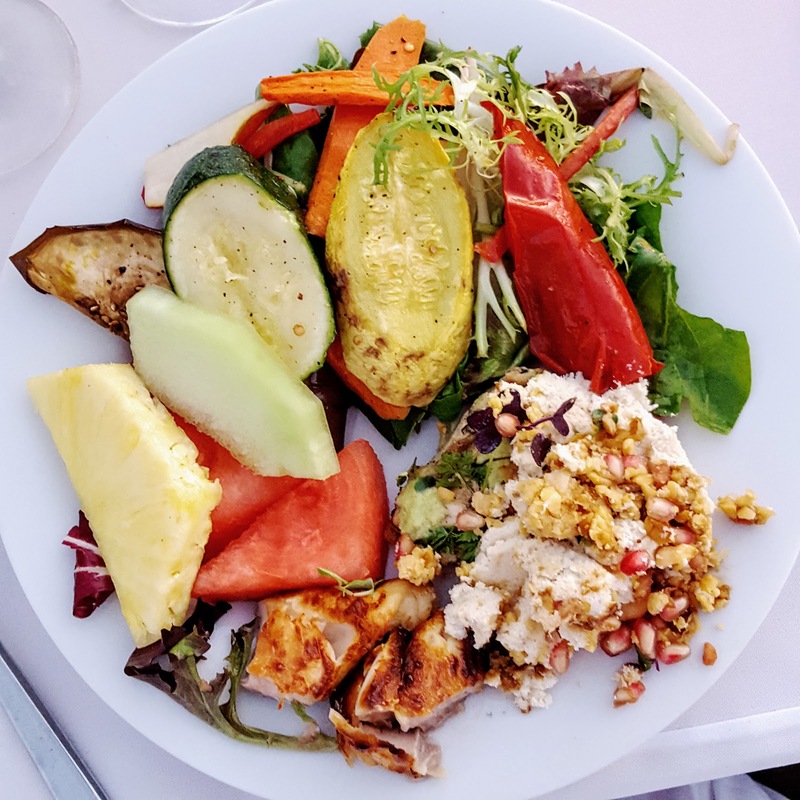 As guests of Chloe Wines, we're treated a yummy meal of salads, grilled veggies, grilled cod, chicken, and chickpeas. I was so impressed with the creativity of each table as people decorated with lamps, candles, fresh bouquets, and even sheer curtains! As we're leaving, I'm with a perfectly frosted vanilla cupcake from one of the neighboring tables. 12pm: Inspired by a recent pinterest photo, I make a melon bowl with my super sweet Galia melon. 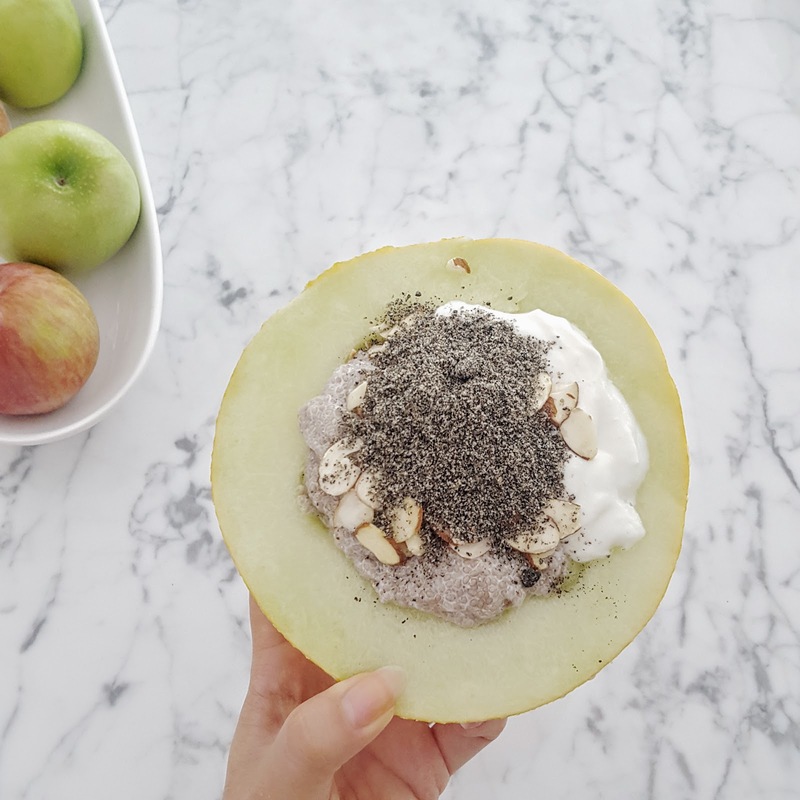 I split it in half and filled it with chia seed pudding, greek yogurt, sliced almonds, and sesame seeds. It sounds better in theory as the melon is so sweet and juicy that the extra stuff takes away from the taste. I also finagle a few bites of M's almond croissant. 5pm: After our childbirth class, we stop at Sugarfish in Beverly Hills for an early dinner where I get the Nozawa Lite with an extra blue crab hand roll and unagi sushi. Throughout my pregnancy, I've been consuming small amounts of sushi while staying away from fish high in mercury and haven't had any issues. 8pm: A small apple and some vegetable chips. Okay and I also sneak in some sliced strawberries and a scoop of vanilla ice cream.